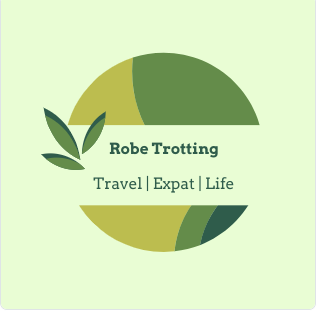 Check out my itinerary and contact me if there’s something I need to check out, you want me to write about while traveling or with any other advice, comments or recommendations. I was blown away after spending a month in India earlier this year. I did a trip through GAdventures and got to experience the brilliant, beautiful and unique culture of India. I did the North to South India on a Shoestring tour and highly recommend it to anyone looking for a well-organized and professional tour experience. Check out their other offerings and use this link or the logo below to book if you’re considering a tour with GAdventures. 6 day trip to the Italy’s Amalfi coast with our Copenhagen crew. 13 of us are renting a villa for the long weekend to enjoy some late summer fun in the shoulder season. We booked a guided tour of Pompeii and Mt. Vesuvius, a private wine tasting and a boat trip to the island of Capri. This is going to be one for the books! Our awesome American friends, George and Rudi, are making the trip to Copenhagen and we are spending a weekend together in Stockholm. I have been there once by myself and Mike was there in November with colleagues but this trip should top them both! We are combining work and pleasure with this get-away. Mike has to visit a plant in Spain and we are taking the excuse to spend some time in Madrid and Toledo. Back to our favorite city in Europe to celebrate my birthday. This time we are being joined by another one of our favorite Americans, Matt. We get to show him Copenhagen for a week and then off to Amsterdam for a long weekend where we will be staying in the inner canal rings on a gorgeous house boat! I cannot wait for this trip and making some birthday memories. This trip is our warm weather get-away to celebrate Mike’s birthday. By early December we will be ready for some sun and some better temperatures in Portugal, a country that we have wanted to visit for a while now. We have a few friends who have been there in 2017 so we are counting on some good recommendations and lots to share when we return. Tagging along to the Canary Islands with our friends Steven and Calum. They’re flying there from Scotland and we are meeting them for some much needed sun and delicious tapas. Boys weekend in LADvia with a few of our favorite friends. Planning to dine out at some great local restaurants and of course sample the nightlife in our first Baltic nation. For Easter 2018 we traveled to Istanbul to take in the history and culture of this wonderful city. We are so excited for this adventure and I’ll get to claim my first time visiting Asia when we cross to the Asian side of the city.